The new Contractor Series HDMI cables from Pro2 support the new HIGH SPEED HDMI WITH ETHERNET specification and resolutions up to 1080p. Its flat, low-profile design and black protective cover make it much more discreet and manageable than standard cylindrical cables. 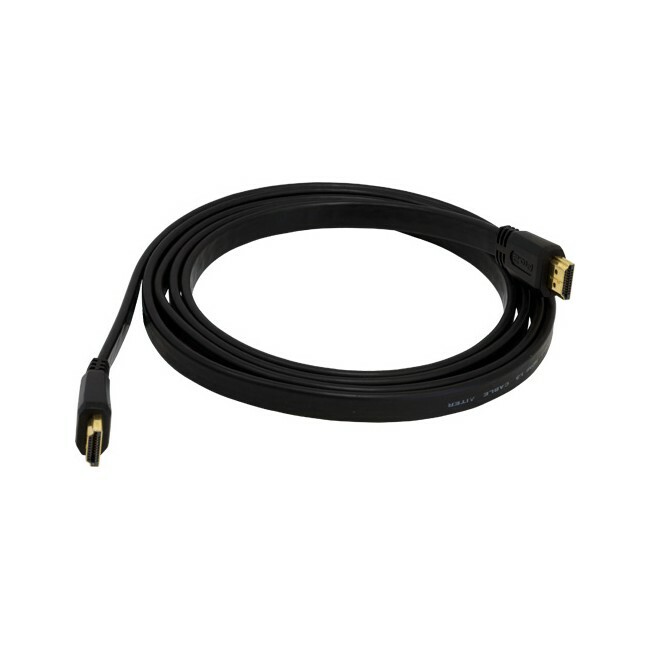 It also makes the cable much more suitable for running down a wall from a wall-mounted flatscreen. With gold plated plugs, oxygen free copper conductors the Contractor Series can deliver full HD 1080p video and HD audio with minimal loss or interference. The latest revision for HDMI doubles the bandwidth of the original and has opened the door for a host of potential new advancements in Home Theater Audio/Video performance. New features such a Deep Color, higher colour gamut, and high resolution, multi-channel audio formats like Dolby True HD and DTS-HD Master Audio will better meet higher bandwidth demands than ever before.